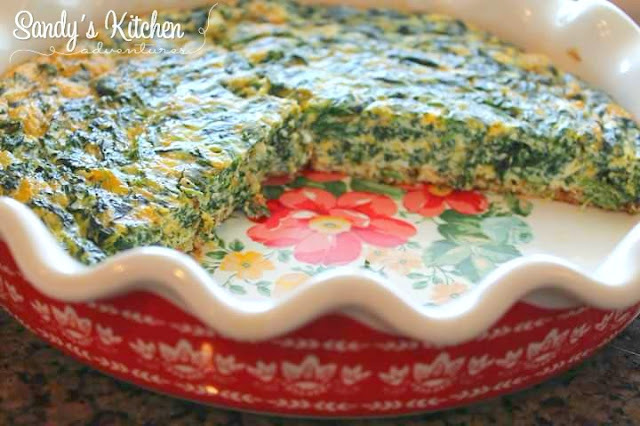 Here is another delicious quiche recipe perfect for Easter brunch! Make this Spinach Cheddar Quiche along with the Italian Sausage Sweet Red Pepper Quiche to give your family and friends some variety! You will be proud knowing you are serving something nutritiously packed with plenty of veggies and lean protein! The crust is simply a Cali'Lite cauliflower crust. Skip the traditional pie crust and swap it out for a cauliflower crust. A traditional Pillsbury refrigerated pie crust is 800 Calories, 96 grams of Carbs, and 8 grams of Protein for the entire crust! Say it isn't so! That isn't even including the filling! Sure, you could always make a crustless quiche, but it tastes so much better with the crusts from Lite Cali'flour Foods. Trust me! I tried it both ways! 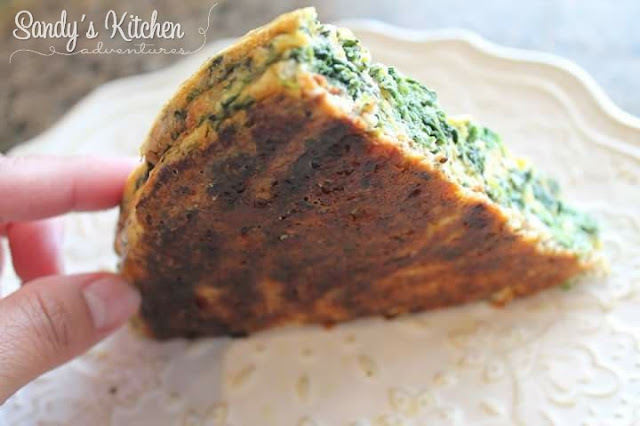 It adds a little extra flavor and texture to the quiche. If you don't have these crusts, definitely skip the traditional pie crust and make it crustless. Check out the note below the recipe to see the breakdown if you go crustless. Those extra calories and carbs are just not worth it. Your health is worth so much more! I hope you enjoy this yummy quiche! Preheat oven to 350 degrees. Remove pizza crust from freezer to thaw. Spray a small skillet with non-stick cooking spray. Add spinach and cook for 5 minutes or until excess moisture is cooked away. Remove from heat and let cool. In a bowl, whisk eggs, egg whites and unsweetened almond or cashew milk together. Stir in cheddar cheese and cooked spinach. Add salt, pepper, garlic powder, onion powder and feta cheese. Grease a 9 inch pie pan. When crust is thawed, center into pie pan. The crust will stay elevated in the pan, do NOT press into shape or it will break! Once crust is centered on pan, place in oven for 5 minutes. The heat will form the crust to the pan. For extra crisp on the crust, broil on high for 2 minutes or until golden brown. Remove from oven and add egg mixture. Bake crust for 45 minutes or until knife inserted in the center comes out clean. Remove and let cool in pie dish for 5 minutes before slicing and serving. * If you can't find reduced fat feta, use 1/4 cup regular feta as 4 Condiments. This would give you 2.5 Condiments per serving instead of 2 Condiments per serving. ** If making this recipe crustless, add an additional 1/2 Lean such as 1/2 cup reduced fat cheese or 2.5 oz cooked Jennie-O breakfast turkey sausage. Add 3 additional Greens to compensate for the missing crust. 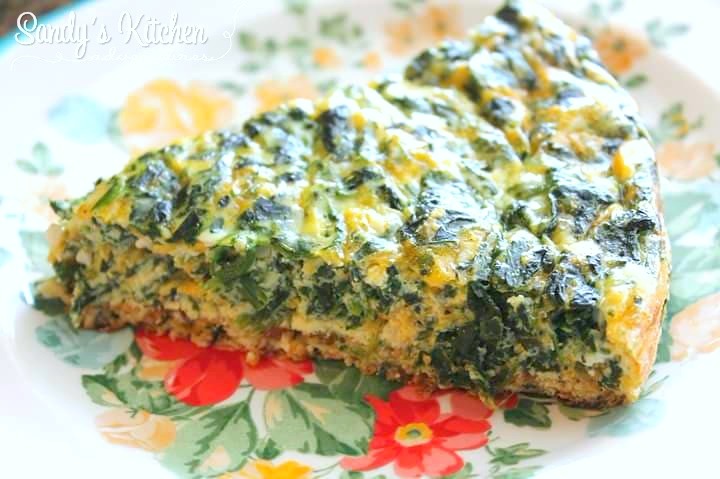 If you do not want to add the additional Greens in your quiche, serve them on the side. This recipe will then give you 3 Servings with 1 Lean, 1 Green (still need 2 more per serving), and 2 Condiments per serving. Looks good! Where do you find the cauliflower quiche crust?